This is my last Madou Monogatari-focused post, I swear. Regardless, all of you Madou Monogatari haters (if such people exist) should be happy to hear there are no other Madou Monogatari Game Gear ports for me to pick up and photograph. Sure, there's the PC Engine Arcade Card port of this series' first game, but given both its rarity and eye-popping price tag I'm unlikely to buy it anytime soon. So, the games I've talked about here, here, here and, yes, here (with this last "here" referring to this particular post) will be the extent of Madou Monogatari collection for some time to come. I have to admit that this latest acquisition--of the 1994 Game Gear port of Madou Monogatari III--hasn't always appealed to me. For starters, I've long thought of its cover art, below, as being inferior to the cover art produced for Madou Monogatari I, II and A.
I've also never been much of a fan of this entry's older in-game protagonist. Both of the above-mentioned criticisms should help explain why I held off purchasing this one until recently, when I came across an absurdly cheap copy on eBay that I just couldn't ignore. Now that I've had a chance to reflect on things a bit, I'd be remiss if I didn't point out that my previously dismissive attitude toward this game has softened quite a bit. Why? Well, the crazy looking frog that's featured on the box art helped move things in the right direction, oddly enough. Madou Monogatari III's wacky and wonderfully colorful instruction manual (see above and below for a couple of particularly awesome examples) hand a hand in my change of heart, too. In fact, upon closer inspection, pretty much every physical aspect of this portable pick-up is well worth swooning over--in my humble opinion, of course. Does this mean I'm now going to push aside my current, meandering playthrough of the first Madou Monogatari Game Gear port aside so I can enjoy this iteration? No, I don't think so. In fact, my current plan is to play the four Game Gear titles in order, with each completed playthrough capped off with a "Great Gaymathon" review. As such, you probably shouldn't expect to read my impressions of Madou Monogatari III for at least a few months (and that's me being generous). In the meantime, though, those of you who have any interest in this Compile-developed and Sega-published series may want to keep an eye out for "Manual Stimulation" posts devoted to the crazy instruction manuals that were included with each of these titles. I'll also do my best to chat about my playthroughs in my "Shall We Do It?" posts. Anyone want to spot me $1,400 so I can buy this boxed PC Engine LT? OK, so I'm pretty sure everyone's answer to the question posed in this post's header is going to be a resounding "no," but you can't blame a guy for trying, can you? After all, the PC Engine LT--which combines a PC Engine, a PC Engine controller and a five-inch monitor all in one lovely, kinda-sorta portable package--has long been perched at the very top of my personal "holy grails of gaming" list. 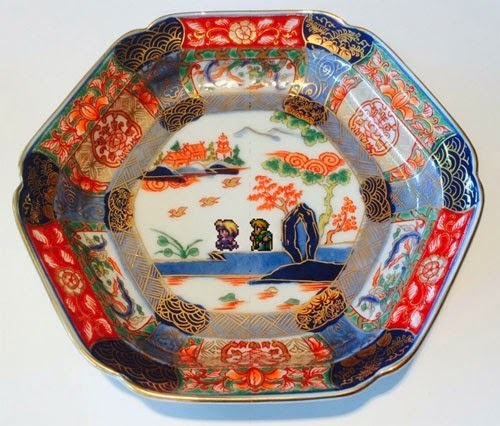 If you'd prefer to buy this beauty for your own enjoyment, though, I'd totally understand. I think. Now that everyone else on the planet has declared this Yoshi's Island follow-up to be a stinker of the first degree, I'm going to spend a few hundred words doing the same here, right? Wrong. In fact, although I agree with those critics who gnash their teeth and wring their hands while muttering that New Island never quite reaches the heights its predecessor hit in terms of gameplay, graphics, soundtrack or even engagement, I also believe it eventually shows itself to be a "worthy enough" successor to that classic 16-bit platformer in most, if not all, of those same areas. New Island does attempt to add some spice to the Yoshi-platformer formula by throwing huge eggs of a couple of sorts and a handful of gyro-controlled bonus games that turn the titular dinosaur into various vehicles into the mix, but in my opinion neither winds up making the kind of impact or impression Nintendo seems to think they should make on players. So, it's probably best to think of New Island as "more of the same" in terms of gameplay--which is fine by me. When it comes to New Island's graphics, on the other hand, there's no question that early impressions aren't good. At all. At first, everything looks, at best, to be a bastardization of the original. (Compare the aesthetics of the opening stage in Yoshi's Island to the first one in Yoshi's New Island for a particularly glaring and depressing example.) A few worlds in, though, and the situation improves mightily. In fact, my only complaint with this game's visuals in the end is that they sometimes seem a bit too mishmash-y due to the variety of art styles (chalk, crayon and watercolor paint among them) stuffed into each and every stage. 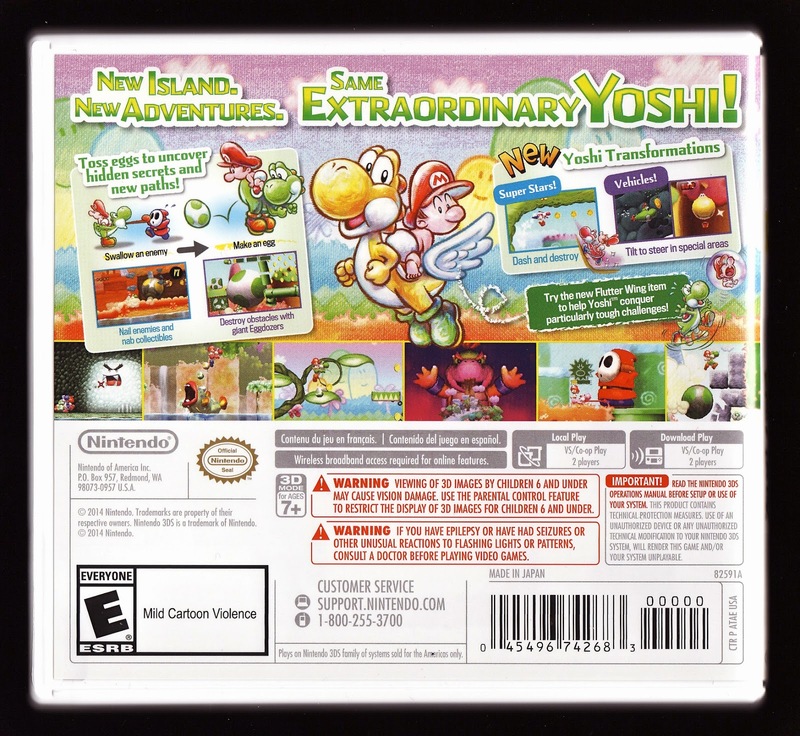 Another area in which Yoshi's New Island initially disappoints is its soundtrack. Gone are the assertively peppy songs that filled the first Yoshi's Island title, and in their place are a selection of far more laid-back tunes. Like New Island's graphics, though, I eventually came to appreciate, if not love, its background music and respect that its composer, Masayoshi Ishi, decided to take an altogether different path, aurally speaking, than his predecessor (Koji Kondo). Given the positive-ish-leaning-toward-ho-hum reactions I've shared so far, it shouldn't be too hard to understand how some people who've played New Island have walked away feeling sour while others (like myself) have left it with a more appealing taste in our mouths. I can't help but imagine, though, that the former group of folks (the ones who aren't fans of Yoshi's New Island) may have had a less negative reaction to the game had the overall experience been a tad more engaging. After all, try as it might, this 3DS title never quite matches the original in that regard--although I'd be hard-pressed to point out exactly why that is. I have a feeling, though, it's due to the folks at developer Arzest being too concerned with aping the first game's key components instead of trying to improve upon them. 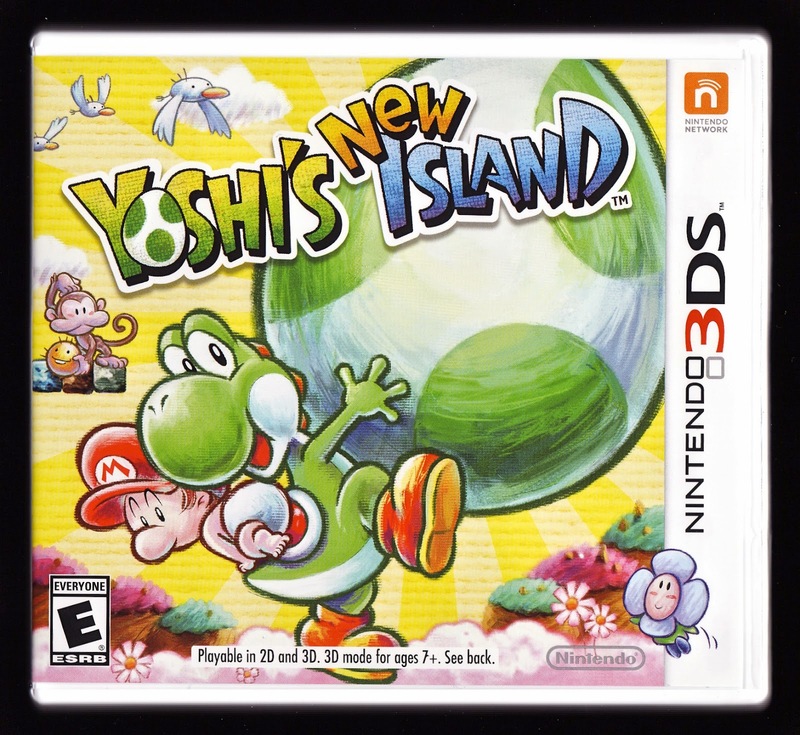 Regardless, I still consider Yoshi's New Island to be a worthwhile pick-up for 3DS owners--yes, even those who've placed the 16-bit original on a pedestal--looking for a platformer that'll keep them busy for 15 or so hours. 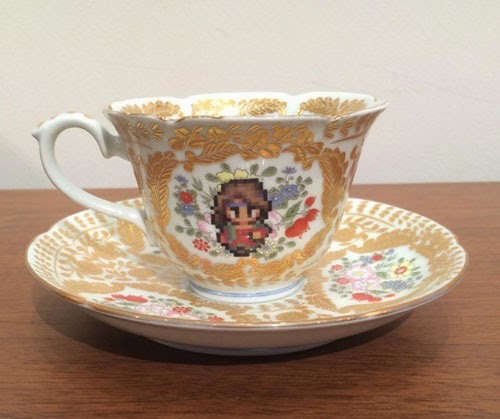 Just make sure you don't go into it expecting it to resemble Super Mario World 3 or anything crazy like that. I know I exclaimed a couple of days ago that I'd come up with a new name for this particular column, but I've since had a change of heart. "Let's Do It" is a nice enough alternative, but it's too straightforward--and kind of boring, too. As a result, I'm sticking with the original "Shall We Do It?" --although I am going to tweak how I use it from here on out. Basically, I'm going to simplify the headers I write for these posts. The new ones will be a bit less fun than the old ones, I guess, but they'll also be a lot less wordy and awkward. Anyway, enough about that. 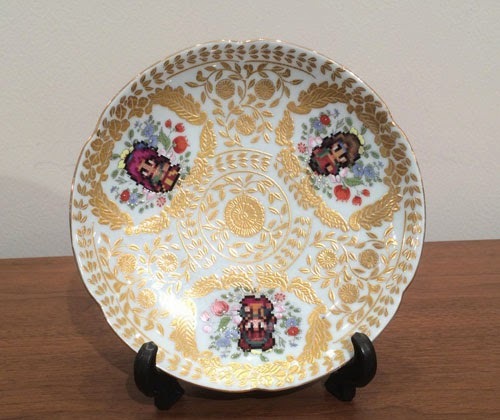 You clicked on this post so you could read all about my on-going shenanigans with Etrian Odyssey IV, right? I'd originally planned to talk about two other 3DS games--THE "DENPA" MEN 3 demo and Rusty's Real Deal Baseball--in this post, by the way. Unfortunately, the "DENPA" MEN 3 demo that was supposed to hit the North American eShop late last week was postponed until May 8 due to "technical difficulties" and it's been so long (about two weeks, I think) since I last booted up Rusty's Real Deal Baseball that I can't think of anything to say about it. So, we'll stick to Etrian Odyssey IV and Etrian Odyssey IV only in this installment of "Shall We Do It?" Which is just as well, because I've spent more than 40 hours with this 3DS dungeon-crawler so far and, as such, I have quite a lot to say about it. For starters, I probably should share that I've just gained access to the title's fourth "land," known as the "Cloudy Stronghold." It's taken me about 12 to 15 hours to conquer each land so far, which most Etrian Odyssey lifers probably would consider a laughably slow pace, but I like to piddle around while playing games like this. The soundtrack is sublime--All hail Yuzo Koshiro, the man responsible for this game's delightfully varied set of tunes. Honestly, I've yet to come across a track I don't like, although the standouts for me at the moment are the jaunty, flute-filled Tharsis theme and the shimmering, guitar-laden song that serves as the backdrop of most, if not all, of the fourth land's dungeons. It surprises me how much I'm liking the animated enemies--Back when this game was announced, I was unimpressed that it would be the first entry in the Etrian Odyssey series to feature animated enemies. The static ones found in the first game were more than enough for me. Or so I thought. Now that I've seen a good portion of this game's polygonal baddies in motion, I have to admit I find them mightily impressive--and I far prefer them to their immobile predecessors. The airship-traversed overworld is a remarkably nice addition--This is another element that I originally eyed with a healthy dose of suspicion. How much could an overworld really add to the Etrian Odyssey experience? Turns out, it adds quite a bit. I'm especially fond of the hunting-and-gathering aspect that's tied to the animals, birds, fish, fruit and veggies that can be harvested while flying around each land and then either sold for cash or traded for swag. Have any of you spent any time with Etrian Odyssey IV? If so, please feel free to share your own thoughts on this 3DS dungeon-crawler in the comments section below. My only issue with the "My Famicase Exhibition" that's been held at the Tokyo-based retro-game shop Meteor for the last decade or so: no one ever seems to turn any of the awesome fake Famicom cart labels (which serve as the event's focus) and ideas into actual, playable products. Will blogger Nightmare Bruce buck that trend and find a way to transform his entry in this year's event, Busy Planet, into an honest-to-goodness game? I doubt it, but I'll be the first to celebrate if he does. "The neighborhood is getting so crowded these days! As the only human on a planet full of new creatures, you have to try hard to fit in. Everyone may have their differences, but we can make friends if we work together!" Admittedly, said premise is more than a tad nonsensical, but that's what's so perfect about it in my mind. I mean, how many Famicom/NES titles didn't feature wackadoodle backstories? 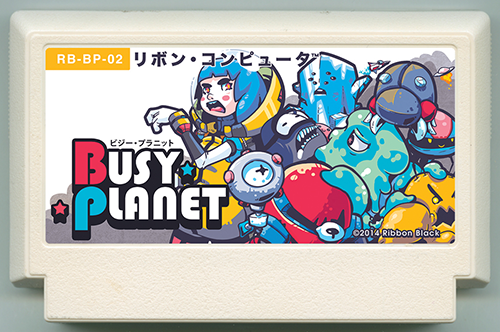 For more information about Busy Planet, check out this recent "Ribbon Black" blog post, and go here (or here) to see more this year's "My Famicase Exhibition" entries.